Salesforce CRM Content Organize, share, search, and manage content within your organization .Content includes all file types, from traditional business documents such as Microsoft PowerPoint presentations to audio files, video files, Web pages, and Google docs. 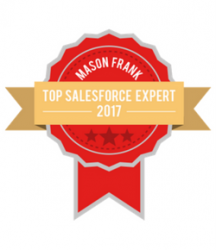 Most of the People Think Why should I Use Salesforce CRM Content? what is the Benefits of using CRM Content ? I Suggest to those People Please Refer the Below amazing Articles. How to enable CRM Content in your Organization? Refer Below Link and Enable CRM Content in your Organization Step by Step. What Salesforce Admin Should Know about CRM Content? Go to the Libraries Tab and click on Contribute . Choose File from your Local system and Enter Description , Select Library in which you want to Publish the file and Click on Save . You can Share File with your Standard OR Custom Object But you need to make Lookup field of that Object with Standard Object (Content Version) of CRM Content . Click on New Button and enter Name, Description and Unique Name of the Library. Select any file Uploaded in CRM Content From the Top Content Section Or you can View file from Library and Click on Edit and Select Update Content Version and Choose file and Update the Version of that Content. Using this you can publish a new Version of the file and update file Properties. Search Salesforce Files in the left side Search Bar. So These are the all customization which you can do regarding Library Permissions for Users, Create, modify and Delete Fields on Content Version, Manage Validation Rules etc.. Create, modify and delete custom fields is the option where you can make Standard or custom objects Lookup with Content Version So that you can upload file with the object from libraries tab. As you see in Below Picture I can Upload File with Lead Or Account Object. What Developer should Know about CRM content for working with Apex ? Below is the CRM Content Object Hierarchy or you can say Data Model . This is thing which Developer must know for working with CRM Content. ContentWorkspace – ContentWorkspace is a Library which you can use for publish File . You can use Workspace(Library) Id while making Instance of Content Version so the File publish in that Workspace. ContentWorkspaceDoc – ContentWorkspaceDoc Represents a link between a document and a public library in Salesforce CRM Content . It allows a document to be shared with multiple libraries. In the ContentWorkspaceDoc there are two lookup Fields that is ContentWorkspaceId and ContentDocumentId. ContentDocument – ContentDocument is a document that has been uploaded in library in CRM Content. For upload file as Content Document you have to Make Instance of Content Version Because Create() call not supported in Content Document. ContentVersion – This is a Specific Version of a Content Document(File) in CRM Content. So these are some things Developer or Admin should Know. Please Refer the Below Links for Complete Details of Content Object. In Previous Post, We Saw How to Upload File in Salesforce Through Visualforce . So This Post is just to Handle the View State Error Occurred During Uploading File through Visualforce. For Complete Detail of View State Refer Link . If you look into the Previous Post there were many Variables in Apex Controller which were use for getting file Body, Name, Description . So If User Upload Large File Then file Body, Name and Description Come in these variables and It would Easily Increase the Heap Size Limit and View State Issue would arise. So For Avoiding this Issue Directly Make a Attachment Object Instance in Apex Controller and Get Body, Name of File From Visualforce Using that Instance . Instead of Storing file body, Name, Description in these variables in apex controller it would Store directly in SObject Attachment So Heap Size Limit will not exceed. Please Refer the Visualforce Page and Apex Controller for More Details. First of all, you need to Create an account on Twilio. If you do not a have an account on Twilio please refer to the link. If you have Already then just Log in to your Twilio account. After Log in Your Twilio Account, you will See ACCOUNTSID and AUTH TOKEN as shown in the screenshot below. Copy this ACCOUNTSID and AUTH TOKEN we will use it later. After this Move on to the Verified Caller IDs on Left Side Bar and Enter Your Mobile Number on which you want to receive Call and Verify by Twilio. For Beginners Here is the Explanation of Remote Site Setting. “When you want to access the external sites in your Salesforce application using callouts, web services, etc… You need to add that in the Remote Site Settings. This is just a security that force.com platform is going to check. Now moving on to the Integration part, according to the Twilio voice API . We Need DEFAULT VERSION , ACCOUNTSID , AUTH TOKEN , Twilio Phone Number(From Phone Number) , Twilio Verified Phone Number(To Phone Number), Voice API End Point for Doing this Integration From Salesforce . In Case of Trail Twilio Account You can Call Only <b>One Mobile Number</b> which is <b>Verified</b> by Your Twilio Account !! Refer Below Links for Complete Details of APEX REST API. Visualforce Page for Upload File as an Attachment OR in Chatter. To Upload file as an attachment or as a file using Visualforce,one must have Record Id so that the Uploaded file links with that Record. Upload this Zip file as a static Resource in your Salesforce Org and use it in Visualforce Component. Now Use this Component in your Visualforce Page and use some Apex Input and Output Tags. <apex:inputText>to get File title and<apex:inputTextarea> to get File Description as Input from User . <apex:Input file> for choose attachment file. Jquery function to show to name of file. In order to Insert file as an Attachment Related to Record Just make the instance of Attachment Object and put the Values Like File Title, File Description, Body, Related Record Id. In Order to Insert file as Salesforce File, first of all we need to make the Lookup field for particular Object with related list in which we want to insert file in Content Version. Please refer to the steps I have performed “I have created 2 Lookup fields in Lead and Account Objects”. After creating this Lookup Field Make Instance of Content Version and put Required Fields as we did for Attachment. Please refer to the controller for more details.